An up close look at the British championship's move to the dark side with its successful new night race. European champion Sverre Isachsen lined up for a powerboat speed record attempt and the completion of the ERC's Joker Lap pack. 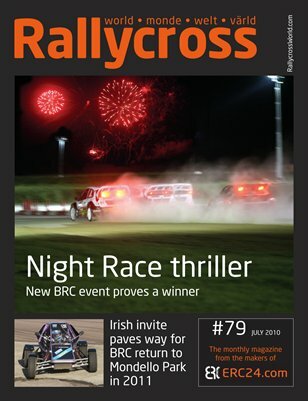 All this and much more in the essential monthly Rallycross read.